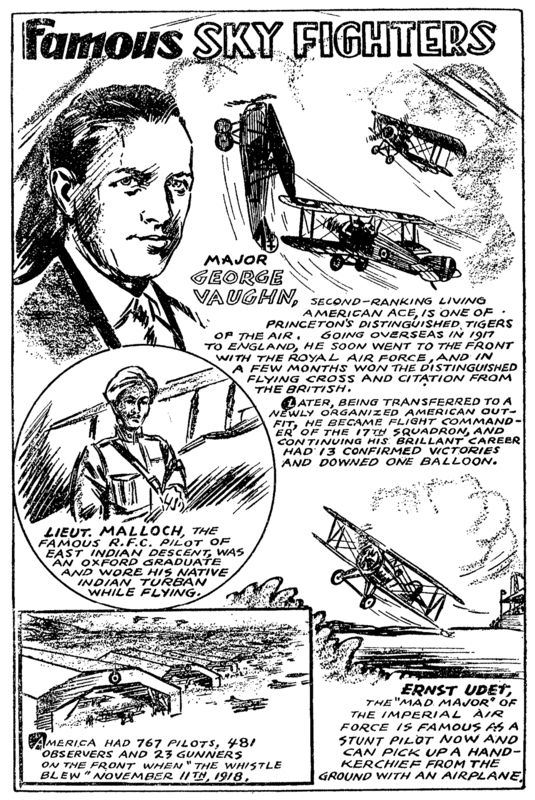 The February 1934 installment, from the pages of Sky Fighters, features American Ace Major George Vaughn, the R.F.C.’s Lt. Malloch, and the great Major Oswald Boelcke! 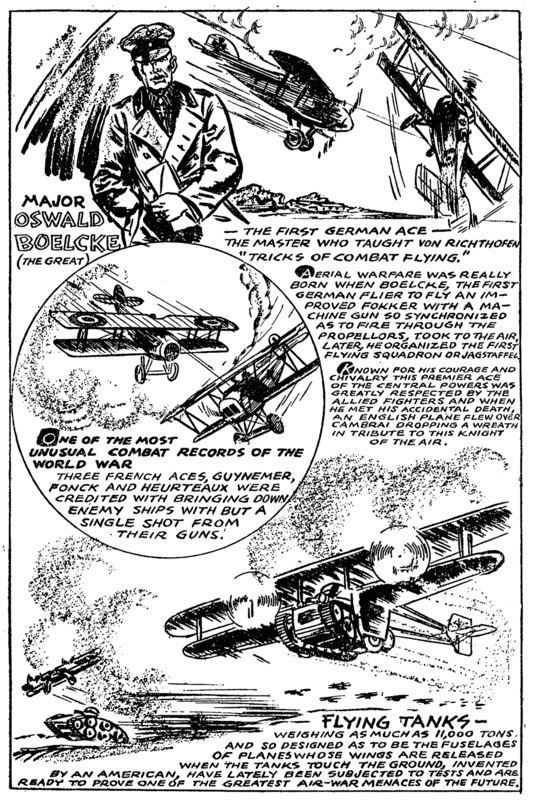 Next time in “Famous Sky Fighters,” Terry Gilkison features “Fighting Dave” himself—David Sinton Ingalls, Lt. Frank Luke, and Germany’s Lt. Werner Voss. Don’t miss it!